Before I even received my first bottle of su:m37˚’s Secret Essence, I’ve already heard so much about it thanks to the glowing reviews online. I couldn’t wait to try it for myself as I was experiencing dull and dehydrated skin (no thanks to pregnancy hormones). 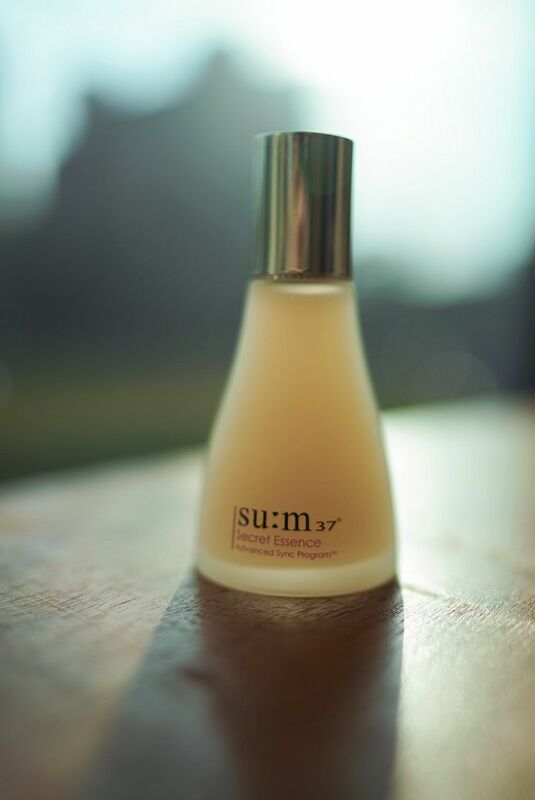 As the star product of su:m37˚which hails from Korea, the Secret Essence consists of over 80 types of plants that have been naturally fermented for 365 days at a temperature of – yes you guessed it 37˚. How did this magic number 37˚ come about? That’s actually the optimal temperature for both the fermentation process and the human body. City dwellers like you and me would love this product because the key active ingredient used, Cytosis®, is known to effectively strengthen your skin’s foundation and protect it from environmental aggressors when combined with ferulic acid, a patented ingredient derived from the fermentation process. It promises to enhance your skin tone, texture and hydration level after just 2 weeks of usage. I put it to the test by applying it after toner every morning and evening, before layering with moisturizer. It has a very lightweight, watery consistency and absorbs instantly into the skin without any sticky after feel. Although you practically can’t feel it on your skin after patting it on, I noticed that my dry spots looked more moisturized immediately and the effect lasted throughout the day. Did I also mention that I absolutely adore the soothing lavender scent which is perfect for lulling me to sleep at bedtime? After two weeks of usage, I’m happy to report that my skin became noticeably brighter, smoother and more hydrated. My make-up glides on more easily and I no longer have to apply as much blusher for the pigments to show up. This product certainly lives up to its claims. With continued use, I trust that I can finally bid adieu to my dry and dull skin! Experience the benefits for yourself! Visit the new su:m37˚in Isetan Tampines to collect a best-seller trial pack from 3rd – 31st October 2017! su:m37˚is also available at TANGS in Tangs Plaza and VivoCity. **Trial pack is exclusive to Tampines Mall.